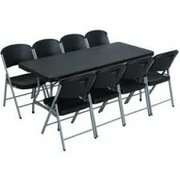 Inflatable Party Magic LLC has sturdy and attractive commercial grade plastic tables and chairs for all of your party or event needs. 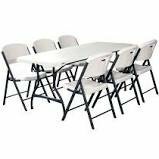 We have both black and white tables and chairs to choose from. 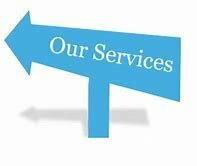 Our equipment is well cared for so it arrives to you in great condition. 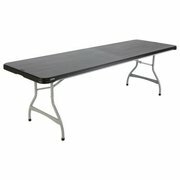 We offer the tables and chairs delivered, dropped off to you, and picked up for the price you see for each. 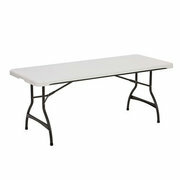 We can even setup them up and take them down for an additional fee. 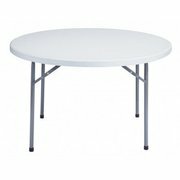 We offer tables and chairs at a lower rate if you choose to do customer pickup or will have an order of less than $100.00. 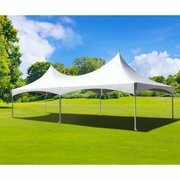 We also carry commercial high peak tents that are very high in quality and appearance. 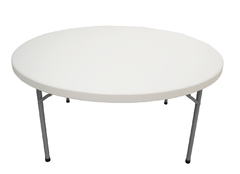 Commercial tents are stocked in sizes of 20ft. 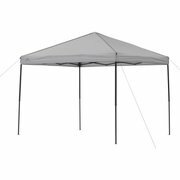 X 20ft., tents that are 20ft. X 30ft, and tents that are 20ft. 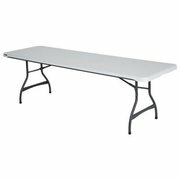 X 50ft, and 20ft. X 70ft. Inflatable Party Magic also offers tent walls with cathedral windows for an additional fee. 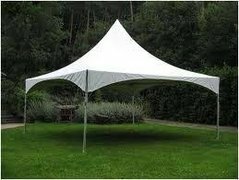 Our high peak tents are offered at the same price many businesses are offering standard top tents. 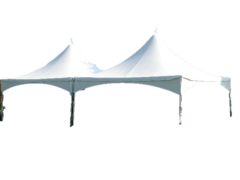 Make sure you know the difference before your event so you don't end up being disappointed as not all tents are created equal. The high peak tents form a peak at the top and look much more attractive and expensive. 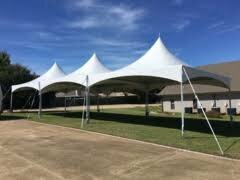 Tents are setup and taken down by our staff that are trained specifically in this area for safety and quality of setup. Don't forget that Inflatable Party Magic LLC also has the entertainment for your party or special event. We offer a full range of inflatables, concession equipment, carnival and backyard style games, tents, dunk tanks, photo booths, pony rides, and even create your own bear parties. 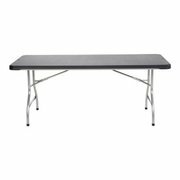 We have everything you need for your party or event. We strive to make your party a magical success with memories that last a lifetime!